Thank you for visiting. 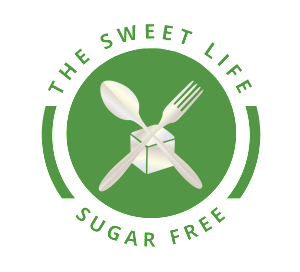 The Sweet Life Sugar Free was founded in 2015 by two friends who discovered the benefits of a Low Carb High Fat (LCHF) Ketogenic lifestyle. These two not only healed their own health issues, which ranged from low energy all the way to Stage 4 cancer, they also healed their families (and friends) as well. After being asked repeatedly about “the diet” Cindy and Erin decided to start “The Sweet Life Sugar Free” to share advice, recipes, cooking tips, and their first hand experiences. This is not just a diet, it is a lifestyle! We know what you can do for yourself and your family because we have done it. The results are incredible and completely achievable. Keep checking our BLOG to find new recipes, snack ideas, and easy tips to help you and your family live a healthier life. Please like us on Facebook and check out our Store for product listings. Feel free to send us an email at TheSweetLifeSugarFree@gmail.com with any questions or suggestions. You may also leave comments about our posts.